Kanishk Seth is an indie-electronic music composer and producer. He has released an album called Trance with Khusrow that was nominated for GIMA and Mirchi Music Awards under the Best Fusion Album Category. He has performed at various college and music festivals like Mood Indigo, Swadeshi Indie Music Festival, EVC’ 15 and much more. At Ouroboros on 15th October, Kanishk will perform his songs from Trance with Khusrow and some of his unreleased songs as well. 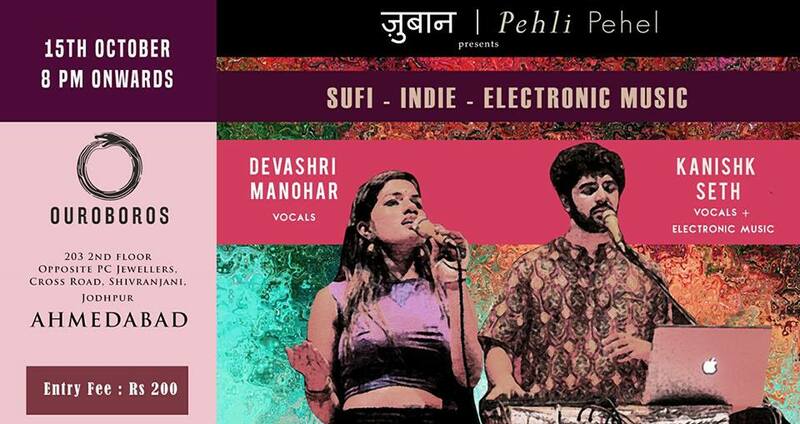 The performance team will have three members: Kanishk on vocals and the Ableton Push, and Devashri on vocals, and Parshva Jain on Sitar.